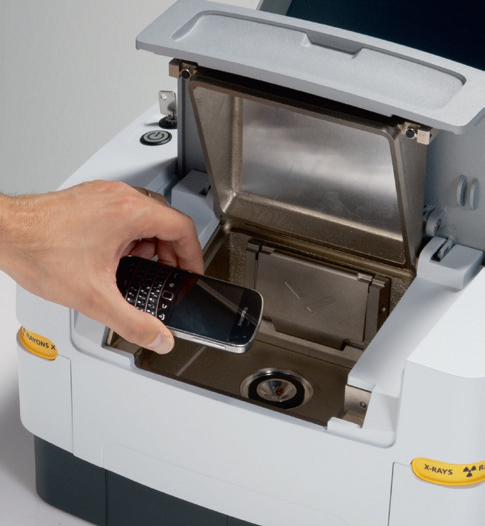 Epsilon 1 is a fully integrated energy dispersive XRF analyser consisting of a spectrometer, built-in computer and touch screen. 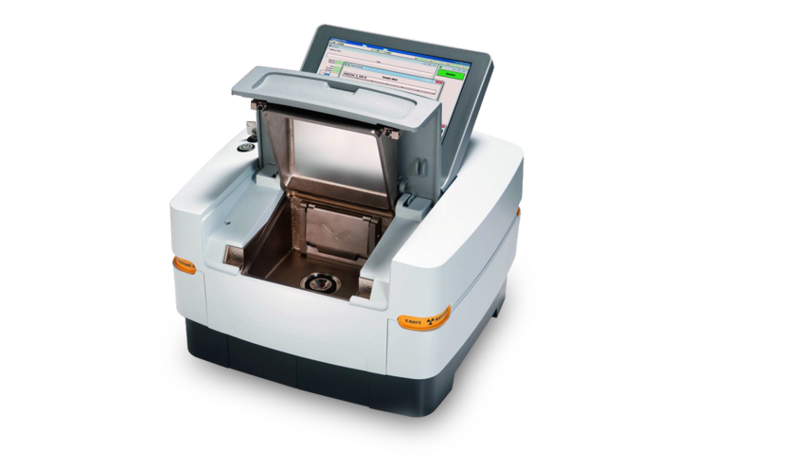 It is designed to produce fast, cost-effective, precise and accurate data with minimal operator dependence and sample preparation. 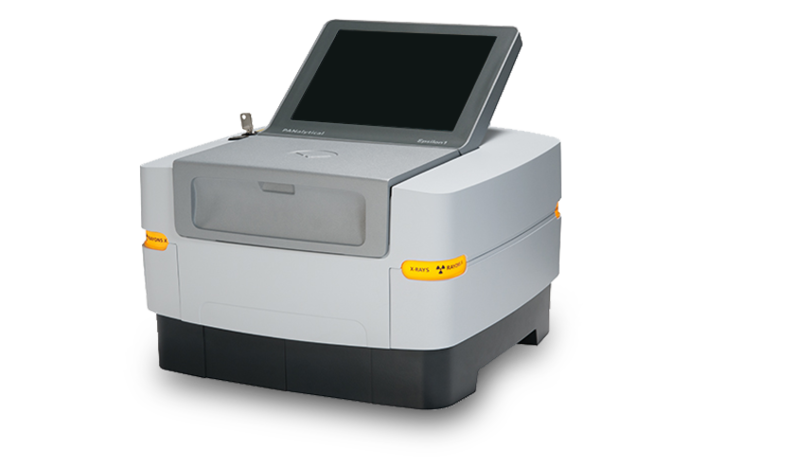 PANalytical was looking to expand its Epsilon series and consolidate its position on the XRF benchtop market with the introduction of a compact low-cost spectrometer. 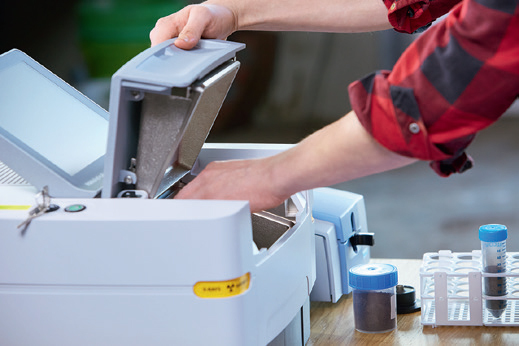 With a lean team of engineers and designers from Benchmark Electronics we quickly engrossed in the subject matter and tackled the design from scratch in close cooperation with the client, amending PANalytical’s brand language in parallel. 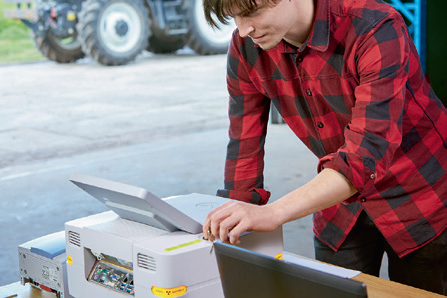 Managing our mechanical engineering department in Malaysia allowed for around the clock development: the first production models were ready merely nine months after the project’s inception. 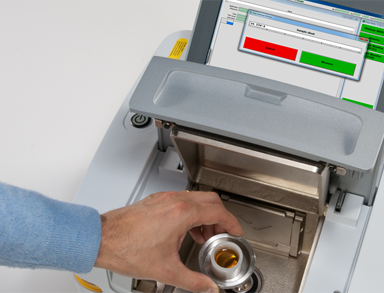 Epsilon 1 is designed with simplicity in mind; for the first time PANalytical’s high standards of analysis are available in this class of benchtop instrument. 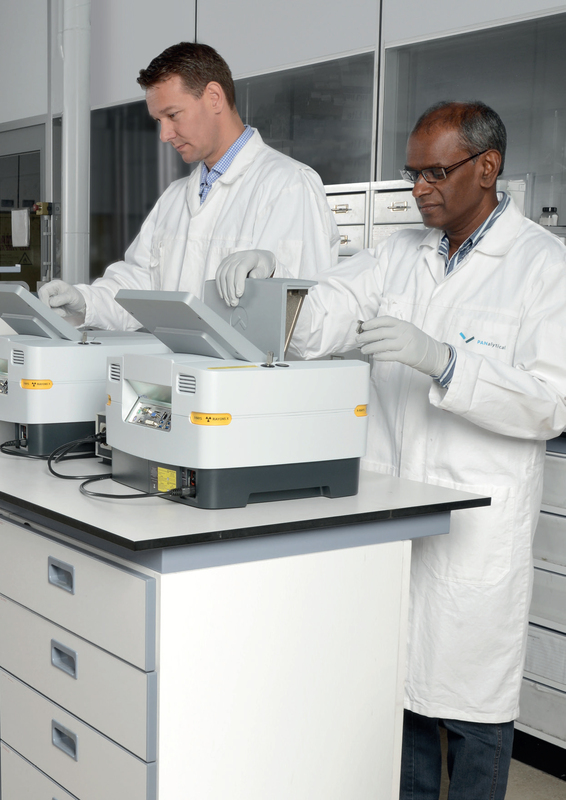 Epsilon 1 is a fully integrated energy dispersive XRF analyser, designed to produce fast, cost-effective, precise and accurate data. Placing an irregular shaped sample in Epsilon 1’s sample chamber. Epsilon 1, corner light detail. 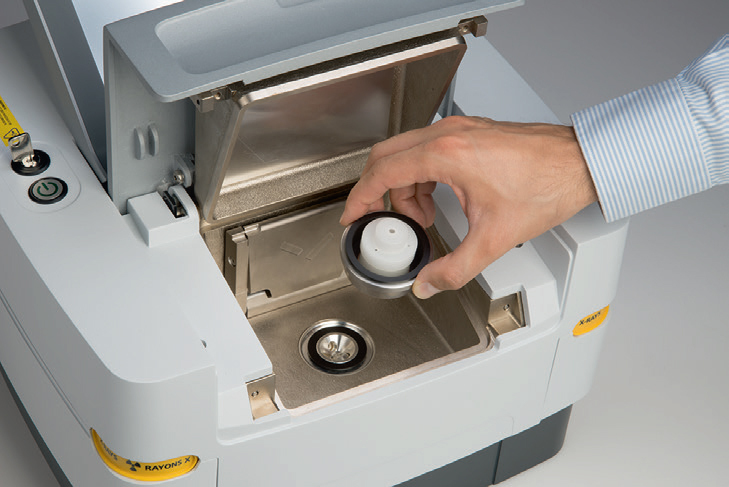 Epsilon 1: placing a sample in the sample chamber. 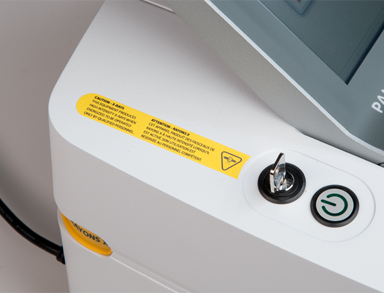 Epsilon 1 in use in a lab environment. 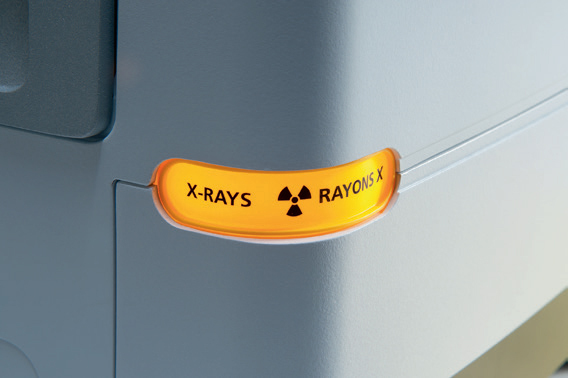 Epsilon 1 in use in the field.